We are a family of gamers and it's normally fairly easy to find a gift at Christmas or on a birthday because there's always a new game release available. 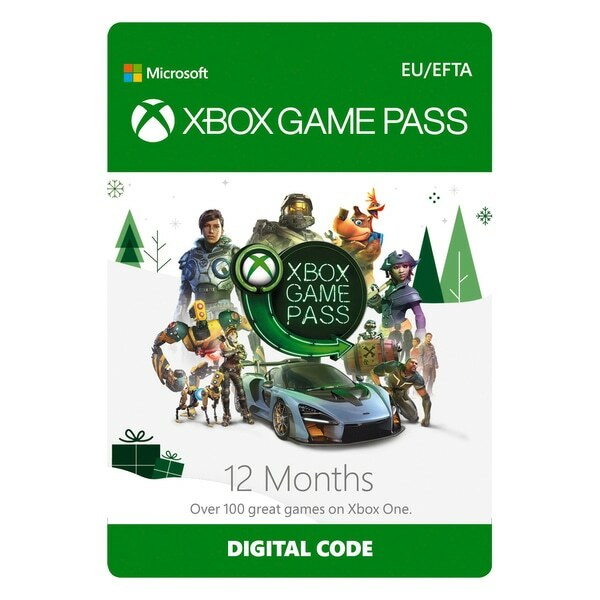 But buying games throughout the year can become expensive so, thanks to a fantastic collaboration with Smyths Toys here's the ultimate present... the XBox Game Pass and I've got one for you to win in time for Christmas! First I've got the lowdown and some FAQs on the XBox Game Pass. Have a read through and then enter the competition below. What is Xbox Game Pass library? The Xbox Game Pass can be described as a 'Netflix for video games'. It is a subscription service available to customers to purchase a multitude of games at a set cost each month. The Game Pass library includes over 100 great Xbox One and Xbox 360 backward compatible titles including Forza Motorsport 7, Disneyland Adventures, Sea of Thieves and Halo. A Game Pass allows you access to the library to download and play all games. This continues until your subscription is cancelled or expires, or a game leaves the Game Pass catalogue. You can buy a pass as a gift for one person or the whole family! Why buy the Game Pass? You can play new Xbox exclusives the day they launch. You have access 100+ Xbox One and Xbox 360 backward compatible games on your Xbox One. You can play Xbox Play Anywhere games on your Windows PC and Xbox One. If your game leaves the library you will need a physical or digital copy of your game to continue playing. As a Game Pass member, you can save up to 20% off the purchase price of Game Pass games and 10% off downloadable content. Xbox Game Pass gives you unlimited access to over 100 Xbox One and Xbox 360 backward compatible games. The important thing is that you don't need Xbox Live Gold to be able to use Xbox Game Pass but you can use XBox Live gold to play with your friends online. So that's all the important stuff out of the way. Do you still want the chance to win a 12-month XBox Game Pass worth £55? Of course you do! There is one compulsory entry to this giveaway where you must tell me your best or worst Christmas cracker joke. This must be typed into the comments section on the blog. You can then check off hat entry in the Rafflecopter widget below. Additional entries are available which include social media activity. Entries will be checked and verified and incorrect entries will be disqualified. Full terms and conditions can be found below and in the Rafflecopter widget. A huge thanks to Smyths Toys for providing the prize for this special giveaway. Smyths Toys Superstores has 116 store locations throughout the UK and Ireland and you can check here for your nearest one. This leading toy retailer carries all the top brands and prides themselves on offering the most competitive prices on the best possible selection of products including toys, baby, outdoor and software games. Give them a quick follow on Twitter, Facebook or Instagram.